This mod requires the WatkinsBase library. This comes with my Utility Chests mod for now, however you can download it separately here. If you ignore this part, you will be ignored when you make a post about it! 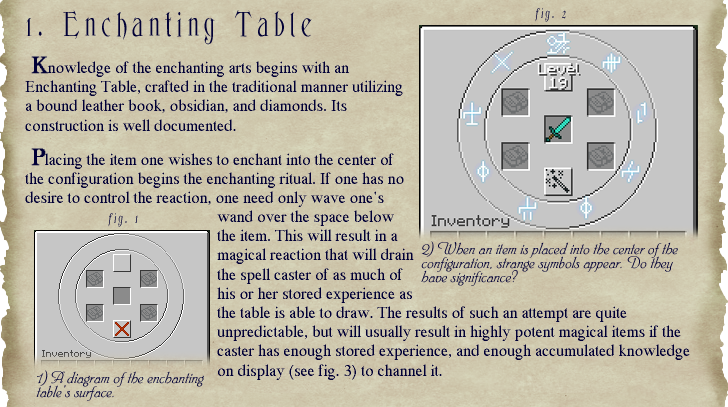 Added recipes to and from Enchanting Table, Blue carpet above normal enchanting table in crafting for RETable. Red carpet above RETable for normal. Added recipes to and from Anvil. Put an undamaged Anvil or REAnvil to get the other one. Note that WatkinsBase has also been updated! 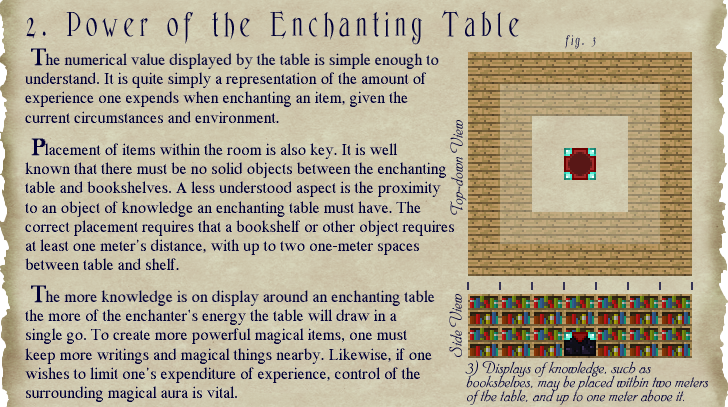 Fixed Enchanting Table not having a recipe! Allow me to be the first to say, this mod is AWESOME! 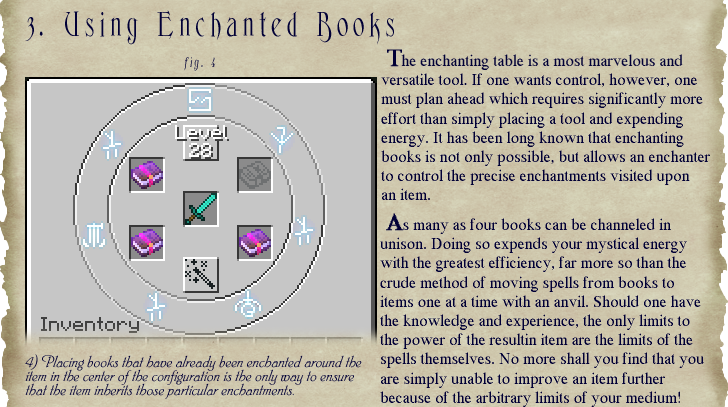 This is the first mod that I've seen that allows you to have control over your enchantments without just choosing. It gives you control, but makes you work for it so it seems fair. Thanks so much for making this, Watkins! I have no idea what's causing that. The error is not one I've seen before. The only thing I can think is that you're using 1.6.4. I'll be rolling out an update to 1.6.4 tomorrow. Wow. I think the thing I liked most about this was the anvil recipes. I especially like the amount of creativity you've added towards the OP. Does this work with enchants from other mods, like thaumcraft? Do you think you could make an alternate version that uses a seperate block for the enchanting table so we can still do old encahnting if we want to, that way we can still get mod enchants if they dont work with this? Wow! Amazing Mod! But could you add an additional recipe for the regular enchanting table? 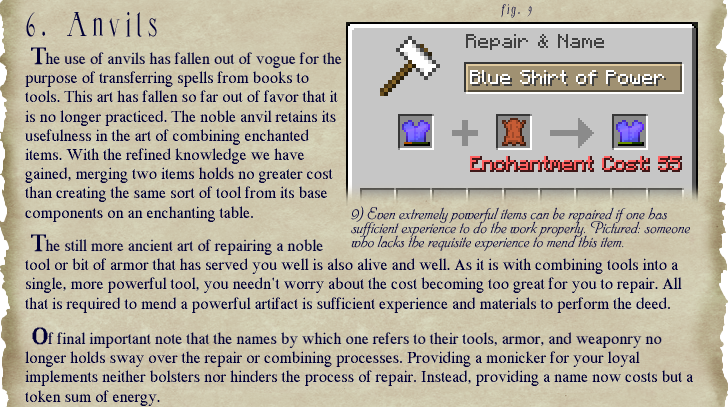 Mod-added enchantments should still work. If they don't, that's a bug. Why would you intentionally want to get worse results from the levels you spend? I'm not disagreeing with you, mainly because I don't understand your reasoning, but I'm actually curious as to why you would want this? But what if I want to use the old enchanting method? 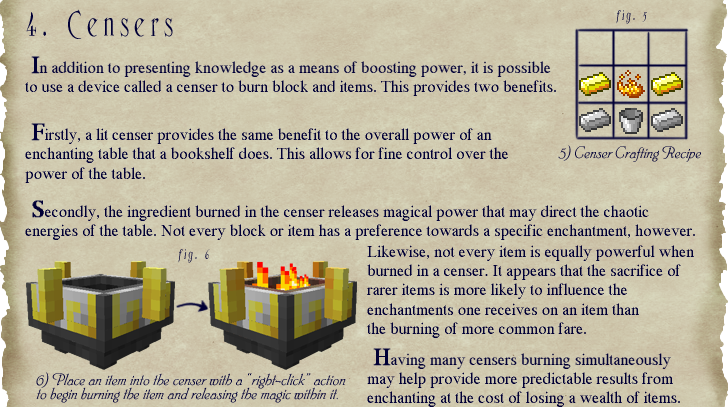 Also, this is unrelated, since bibliocraft bookshelves work with regular enchanting will they work with this? But what if I want to use the old enchanting method? Again, I just don't understand why you'd want to. Other than how you control how many levels you spend, there really isn't a lot of difference between the two methods. I'm not trying to discourage you, I genuinely don't understand your reasoning. 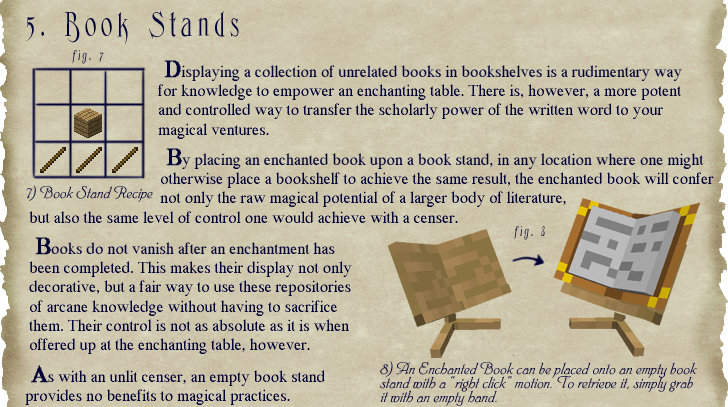 Also, this is unrelated, since bibliocraft bookshelves work with regular enchanting will they work with this? They should, but I haven't tested it. Sorry. Woah. This looks extremely interesting. Bookmarked. I have an extremely strong urge to experiment with this right now, which I will do. Check the readme in the mod files. I think it gives permission to do videos. I know right!? It's either a load of "hey I added technicolor tools" or "I made a gigantic super-mod that's so vast it would take you months to get through the entire tech tree!" There just isn't enough stuff that's just interesting.